Residential Wall Mounts for TV’s – Things to Think About – If you Must! Many issues must be addressed when mounting a TV on the wall in a Condominium, Apartment or Townhome. Most Condos have aluminum studs. These are great for construction but make it a little hard to attach and support the weight of a wall mounted TV. Most new LED TV’s have built-in loudspeakers. To save space and to keep the bezels small around the TV the loudspeakers are now rear firing. This tends to make it difficult to find the proper volume level – always adjusting the volume up and down. If you have mounted the TV on a shared wall with your neighbor, you may be sharing a lot of sound as well. The mounts that are in use today are very thin. Most people want the TV mounted close to the wall; it looks cool. The problem is that most cables and power cords cannot fit behind the TV once connected. There are wall plates and even power boxes you can install that recess the connections – however this means you need to cut a hole in the wall. If it is your wall you can decide if you want to “get away with it”. If it is a common wall with a neighbor, you have to ask yourself – did I just make a sound leak in the wall – even more importantly did I just affect the fire rating of the wall. On an even scarier note, we have seen installations where the homeowner dropped an extension cord in the wall and connected it to a wall receptacle! PEX Plumbing – Is it as Quiet as They Say? Flexible water lines, to some the greatest thing since “Romex” wire for houses. No longer does a person need to fight with rigid pipe when they are plumbing a residence. The product has been around for many years in Europe, and the manufactured home industry has been using it for a number of years in the US. Its claim is that it is easy to work with, fewer leaks and it is quiet. Having spent time working with copper plumbing and cast and plastic waste/vent lines in the past, the flexibility and ease of installation is obvious to us. Not having to connect lengths of pipe every time we have to join two lengths or have to make a corner will reduce the potential for leaks. It is the “quiet” claim we have concerns with. Having spent a lot of time in two residents that use PEX, it is not a silent solution. Yes it has fewer fitting connections and therefore there is less turbulence as water flows through it, however it is still loud. When installed per the manufacturer recommendations, we still have flow noise, and the water hammer at the end of a long run actually seems louder, given how short the run really is. Our recommendation – when you use PEX, continue to isolate the lines and use the same acoustical details that we have developed over the years for copper. For a recent project at a medical research university we were called in to investigate a vibration issue. The lab is located on the fourth floor of a newly constructed building. The research team was having problems with samples in Petri dishes clustering into groups. For their work the samples needed to be evenly distributed across the dish. The clustering of samples occurred when a dish was placed into an incubator, however the clustering was not consistent as to time of day or other obvious parameters. As their test, a Petri dish filled with water was placed on top of the incubator and visible wave patterns (similar in pattern to the clusters) could be seen in the dish. Our first step when we arrived at the facility was to conduct measurements with a portable vibration meter. This meter allowed us to view measured vibration levels in one-third octave bands. We quickly found that when we attached the accelerometer sensor via its magnetic base to the incubator there were two frequency bands that stood out higher than the others. These fingerprints were found at the 50 Hz and the 1,000 Hz one-third octave bands. Measurements were made on the incubator and on the floor next to the incubator as a control point. We also measured the vibration levels on the wet sink next to the incubator, the subzero freezer on the other side of the wall from the wet sink, and on the structural floor adjacent to building mounts for the equipment in the penthouse above the lab. The vibration frequencies observed on the incubator did not appear in the control point on the floor next to the incubator. Occasionally another tone cycled into our measurements on the surface of the wet sink and was also seen on the incubator. This frequency corresponded to the operational cycle of the subzero freezer in the lab. Because of the location of the mechanical equipment in the penthouse above the lab we also conducted measurements in various locations in the penthouse. The Energy System Re-circulating pump produced feel-able vibration in the floor but was outside of the apparent driving frequency of the vibration source for the incubator. While the compressed air system did produce a tonal component in the same fingerprint as on the incubator, the vibrations at the incubator did not correspond to the operation of this system. The other equipment in the penthouse did not have the characteristic fingerprints. Based on our investigation, we determined the primary cause of the vibration within the incubator was the incubator itself (the circulating fan motor). The first step will be for the manufacturer to confirm that the fan is installed and working properly. We also provided recommendations to isolate the unit from the building as well as address a few other issues we noticed. Investigative projects like these are always a fun challenge. As winter turns to spring people start talking to their architect or landscape designer about a new hot tub or pool, or perhaps it’s a new air conditioner or even an emergency generator. Soon we will start to get phone calls from homeowners at their wits end because they’ve lost many hours of sleep due to a neighbor’s noisy air conditioner, condenser, pool pump or even the freezer chiller at the new grocery store recently built around the corner. Noise can not only be a nuisance, it can also be unhealthy by disrupting sleep and causing stress. These types of noise problems are becoming more frequent as people live more closely together. To combat this, many cities and towns across the nation have adopted noise ordinances. Sometimes, however, noise can make enemies out of neighbors and in order to be a good neighbor it is necessary to do more than just meet the local noise ordinance. It may be necessary to take additional measures to restore the peace and friendly neighborhood relations. Thankfully, there are many possible ways to fix the various causes of noisy mechanical equipment. Another important consideration is the location of the offending equipment relative to the property line. If your noisy air conditioner is located just inches away from your neighbor’s property line, and their bedroom window, the best option may be to find a better place to locate it. That may mean moving the equipment to the back of the house where the closest neighbors are 30-feet away instead of 30-inches away. When all else fails, it is usually time to consider some form of acoustical barrier. Noise barriers take many forms: from a natural berm or fence; to a custom mechanical enclosure; to a wall made of a material that matches the surrounding buildings that has both mass to function as a barrier and absorption to reduce the sound that bounces around inside the new enclosure. Landscaping can also be added around any kind of barrier to get rid of the “eye sore” and make it look more pleasant, but this will not reduce the noise. While barriers can be a very effective solution, depending on the noise levels, topography and distances involved, they might not be appropriate for all sites – relocation may be the only viable option. As indicated here, there are many possible solutions for noisy mechanical equipment that is making neighbors unhappy or violating local noise ordinances. The feasibility, effectiveness and cost of each option must be weighed in order to find the best solution for all involved. There is often a chill that runs up your spine when something is really well done. That happened for me the first time I heard the “THX chord” in a theater. It reinforced that audio gives us the emotion and can be much more than 50 percent of the experience. Even the early “silent” movies had music played by a local pianist to bring images and emotions to life. In some venues, video may be king, but on a basic level, audio is still at the heart of distance communication. While the promise of integrated videoconferencing is appealing, it comes with a fair amount of challenges. One example is the recent migration in our offices to a new IP phone system. Even with sufficient planning and expertise, we missed getting our videoconferencing systems functional for that first staff meeting. We fought with bad QOS (Quality Of Service) for about two minutes and decided it was time for a basic conference call instead. After one “Can you hear me now?” we were up and running. PictureTel and CLI told us in the ’80s and ’90s we could roll a TV set and camera system into any room and video-conference from that room. Unfortunately in many offices that “roll-about” sat in a corner, unused for many months (if at all). When we asked the owner why the roll-about had not been used, the answer usually included something about lack of network drops, or bad audio or video quality. Fast-forward 25 years and we seem to be in the same dilemma. While we now have phones that send video and let us chat with our loved ones on opposite ends of the globe, the increase in audio and video quality hasn’t kept pace with advances in shrinking hardware. Poor quality is tolerated because it’s still relatively novel, good enough for casual use, and the price is right: free or almost free. However, in a professional business situation, that quality (not to mention reliability) becomes paramount for success, and in making that important first impression upon clients and prospects. In other words, it requires a blending of technology, proper acoustics in the proper space, and the right team to put it all together. The experience in our own office shows how tenuous the balance can be. On the environment side, what is needed for quality video communication is a room where the audio, acoustics, and video image all feel “right” to the participants, eye contact between both ends of the call can easily be made, and the sharing of information and actual control of the meeting is transparent. On the technology side, we still have to remember that video calls are still just bad TV. The turnkey solutions from the major players are actually stepping back in time to the first video rooms from the early ’80s. These were custom and purpose-built rooms based on good television production techniques such as acoustics, audio, lighting. and quality video equipment. The only difference was it went to a codec that compressed the signal down to run over a phone line. Now we have these great custom built rooms with signals only compressed to a much bigger telephone (network) connection. Over the next few months we will look at current standalone and computer based codec systems and what is required for good videoconferencing. Until then, count how many times your video meetings start with some form of “Can you hear us?” At least in the business world, audio wins! The “Granny Cam” is here to stay. Anybody with a computer, microphone/ camera, and internet access can download any one of a dozen or more programs like Skype and stay connected to friends and family for free. Four to six hours a day with a program that in my opinion is not business quality, “What are you thinking?” was my first reaction. But as an early adopter of interactive web-based training, the convenience for him outweighed the quality. Polycom, Cisco WebEx, GoToMeeting, and Adobe Connect are the most common business-quality web conferencing systems we deal with. Maybe this convenience thing is not bad; if we live with it and can tolerate the bad quality, we may find a way to make it better, just as we have seen the quality of fixed conference systems improve over time. This article was originally published in System Contractor News. Product Review: Insight Lighting’s SmartWall® Ever Changing Wall Color! The true measure of sustainability in LED lighting products today has less to do with quantity of light and more to do with efficient management of the digital source. Insight’s revolutionary SmartWall® employs their proven SmartEdge® digital LED technology with a unique engraving process to create luminous white light and color changing wall systems. Whether back-lighting glass displays, creating semi-transparent room partitions or integrating into window mullions for exterior branding, the SmartWall technology helps transform an interior or exterior space. All Insight digital products have proven and tested manufacturing processes, independent photometric results (LM79), documentation of heat management techniques and a substantive warranty to back it up. Insight’s design approach relates to longer life, reliable white light color temperatures and product integrity that last. The federal government is pushing toward more energy efficient solutions with regard to lighting and lamp selections, or what is more commonly referred to as “going green”. This will result in changes over the next couple of years with regard to the lamps that will be available for purchase. Several governments around the world, including the United States, have passed legislation that will phase out the incandescent light bulb for general lighting. The goal is to encourage the use and technology development of more energy efficient lighting alternatives such as halogen, compact fluorescents (CFLs) and the ever popular Light Emitting Diode (LED) which offer increased efficiency, decreased heat emissions and are significantly more economical than traditional incandescent lamps. (Technically speaking, a halogen lamp is an incandescent lamp, but it is more efficient than traditional incandescent as the result of the halogen technology and is usually considered separate from incandescent lamps.) This means “lights out” for Edison’s 131 year old lamp that still lights homes worldwide while wasting 90% of its energy as heat rather than light. While you won’t be required to throw out your old bulbs, you may be surprised when you are trying to find the same replacement lamps in stores. The first phase of the process will bring an end to the production of the 100 watt A lamp in January 2012, the 75 watt in 2013, and the 60 and 40 watt counterparts by January 2014. This will also affect the availability of the T12 fluorescent tube which will be phased out by 2012. The second phase will come into effect by 2020 and will require general purpose lamps to produce at least 45 lumens per watt, similar to the energy consumption experienced with CFLs. Subsequently, several states have adopted more stringent legislation which requires lamps to produce a minimum of twenty-five lumens per watt by 2013 and sixty lumens per watt by 2018. Let’s assume you have just received the new video-conferencing-system-in-a-box that you ordered online from AcmeAV. The room it will be installed in is relatively small, seating 10 to 12 people. Before you start unpacking all those cables and reading that 765 page instruction manual, here is a list of tips and rules of thumb to help you ensure that your video conference installation will be more interactive and productive. 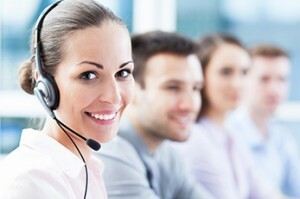 Proper location of the camera will allow the viewers at the far end of the video conference to perceive that you are making eye-to-eye contact with them. It is preferable to locate the camera below the display at about 3 feet 6 inches above the floor. Remember that you want to convey the best possible image to those you communicate with. If your conference table is smaller than 8 feet, a multi-element “pod” type microphone should work well. Once the table gets larger than 10 feet, it is recommended that individual microphones with a cardioid pick up pattern be provided for every two people seated at the table. Locate each microphone about 2 feet back from the edge of the table and make sure that the microphone’s pick up pattern is oriented towards the participants. Proper mixing of the microphones should be accomplished using a digital signal processor (DSP). If the DSP has on-board echo cancellation, be sure to disable the echo cancellation that is built into your video CODEC. Room Lighting Never use exterior sunlight as illumination for your video-conference. It is best to use fluorescent lighting with a color temperature of approximately 3200 Kelvin. Avoid using directional fixtures that illuminate participants from directly above. This will cause unwanted shadowing on faces. If possible, install lighting fixtures that angle the light away from the video display at a 45 degree angle to the participants’ faces. Proper illumination of walls behind the video conference participants is also important. Make sure this wall is evenly illuminated and only slightly darker than the main source of illumination. Avoid using ceiling mounted loudspeakers for the incoming sound from the far end of the conference. It is best to locate loudspeakers above or to the left and right of the video display. This helps reinforce the illusion that the sound is more localized to the people speaking from the far end. In summary, there are many factors that contribute to a successful video conference installation, far more than could be contained in a single newsletter article. If you implement the items listed above, you have already eliminated 80% of the biggest mistakes often made by the novice do-it-yourself video conference installer. At Thorburn Associates we keep an eye on many rating systems and standards that affect our work as acoustical consultants. These rating systems and standards are a way to help ensure that buildings will work for their intended purpose. The end of the year is a good time to assess where things stand and what to look for next year. LEED 2012 As part of its continuous improvement cycle, LEED 2012 expands on changes made in the LEED 2009 rating system. Major updates focus on improving usability, enhancing the technical rigor of the rating systems and adapting the rating system for a wider variety of market sectors. It includes a credit for Enhanced Acoustics for all types of New Construction. The criteria vary based on the building type: the Enhanced Acoustics credit requirements for Schools are largely the same as in LEED 2009; the major updates come in providing 1 to 2 points for addressing background noise levels and privacy concerns in the other types of New Construction. This may allow your project to earn an additional point for making small improvements to your existing standard design practices. The second of three public comment periods has recently closed, and current plans are to start using the newest rating system in mid-to late 2012. In Progress While LEED may be making the most dramatic changes for next year, there are a couple of other standards involving acoustics that are making news for the work that is still ahead: This fall the Classroom Acoustics Standard ANSI/ASA S12.60 was included in federal school modernization legislation. These efforts, however, are unlikely to move forward until the current election cycle is over next fall. The 2012 International Green Construction Code will be available in spring 2012. This code is adopted as the basis for the local building code in many parts of the country and around the world. As a result of public comments requesting revision, the inclusion of the acoustics-related requirements has been delayed until the next revision. With Digital Signal Processing ubiquitous, it seems more systems are going in that haven’t been adjusted and fine-tuned. Furthermore, we as an industry have to ask what is an appropriate level of adjustment, and how can we specify and measure that? This isn’t just an audio issue, it’s a system commissioning issue. Ultimately, how do we know that the owner received what they paid for? As a consulting firm, we can only rely on what is written down or shown on the drawings. Words fly away but paper is forever. InfoComm is working on standards that we will eventually be able to reference, but how do we address this today and with current projects? I have two examples just in the last month that highlight this challenge and the issues behind it. • Boxes, installation, and verification of sound and image? • Boxes, installation, sound and image, and system optimization? In this instance, the contractor felt they were required to only provide boxes and installation, leaving everything else to the owner’s control system programmer. Suddenly the control system programmer became the systems commissioner too! In the old days this would have been unacceptable and unfeasible to expect that from the owner’s staff. But now anyone with a computer on site can do the adjustments. Is this something we as an industry think is appropriate? The second example was a much larger project, based on existing functioning systems that were to be moved and expanded. During the moving process, the functioning system stopped working. All of a sudden it became a design issue. When we asked for the project paperwork, we never got it, though we finally sourced some from the AV contractor. Apparently, the DSPs were way out of whack. Items that were not meant to be touched were turned on in one room and off in another. Levels for cloned room pairs would have input levels cranked in one room and the output turned way down while the other room was just the opposite. It became clear that the AV contractor team had no respect for the process and the role they play for the owner. It really became a game of providing the minimal required work to finish the project. The problem comes down to different levels of expectations. We all have personal expectations for service, company expectations, and an industry expectation. Hopefully the first two are reasonably close. But we still have a disparity in the industry level of service. When I get a system that has been commissioned by an AV contractor, the installation and adjustment is rarely done until we ask for it in a project meeting before the check out. In a sense, it seems like a cat and mouse game: See if you can find what I did not do just so I can cut corners. Do I hold the bar too high? I don’t think so. When I see firms whose whole business model is based on third-party commissioning of systems, there clearly is a need and business reason for it. This article was originally published at System Contractor News.